Ever since I started taking immuno-suppressants for my RA, I’ve had a constant, nagging cold. Maybe that’s why I woke up at 4:45 am today with an immediate and insatiable craving for vegetable soup. Your body tends to speak to you, and I’ve learned it’s generally a good idea to listen. So yes, there I was at 5 am in Safeway, standing in the produce section without a list. 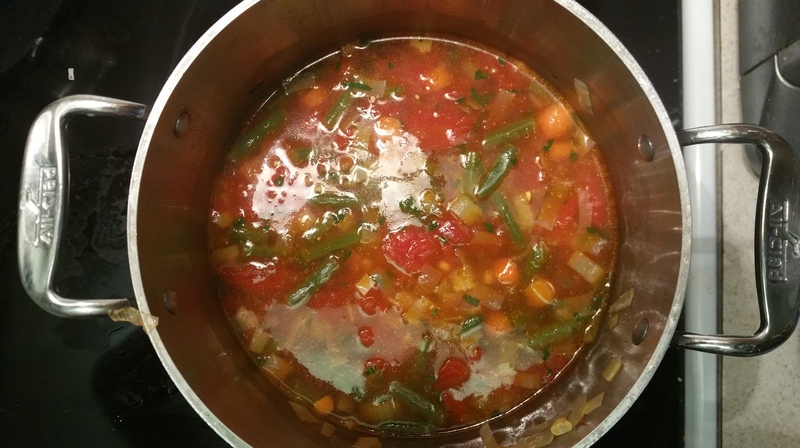 While things usually go better when I plan, vegetable soup is one of those things that you don’t really need a plan for, you just need to know what vegetables you like and what looks good at the store. It’s also helpful to know a little bit about what stands up well to being cooked in broth without going to mush on you, and that’s why I think that simple though this recipe may be, it’s well worth sharing because of its balance of textures and flavors. 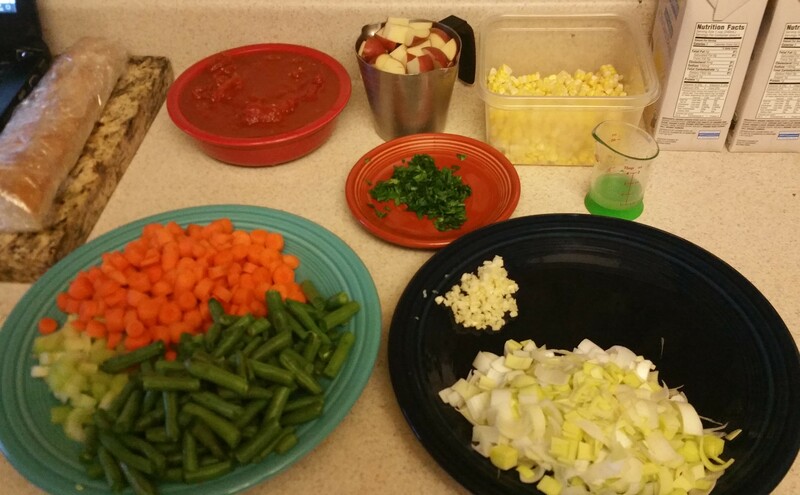 Let’s put the soup on! Heat the oil in a stockpot over medium-low heat. 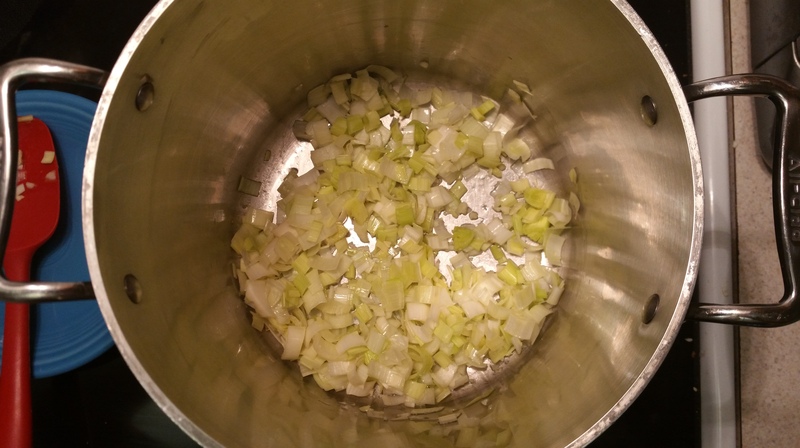 Add the leeks, garlic, and a heavy pinch of salt, and sweat until the leeks are soft, 6-7 minutes. 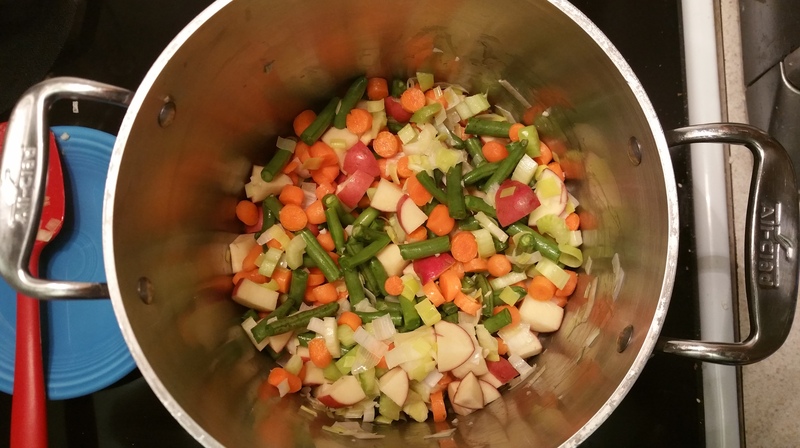 Add the carrots, potatoes, green beans, and celery, and cook 5 minutes more, stirring occasionally. Add the chicken broth and turn the heat up to high. 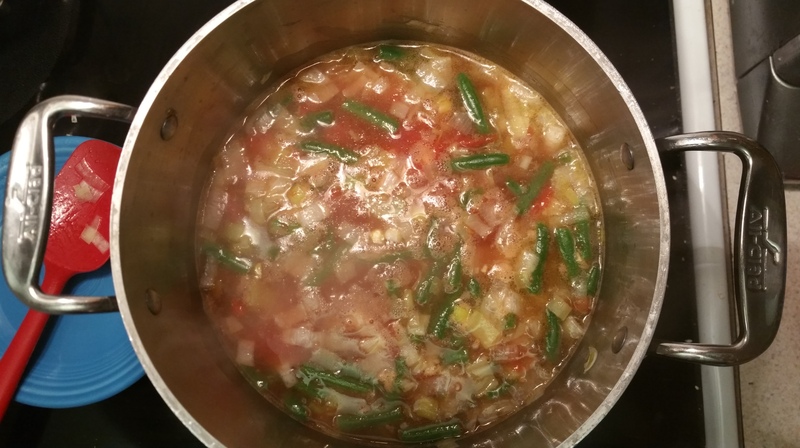 Once the soup comes to a simmer, add the tomatoes and corn. Reduce the heat to low, cover the pot, and cook for 25 minutes or until the vegetables are tender. Remove the pot from the heat and stir in the lemon juice and parsley. Season with salt and pepper to taste. 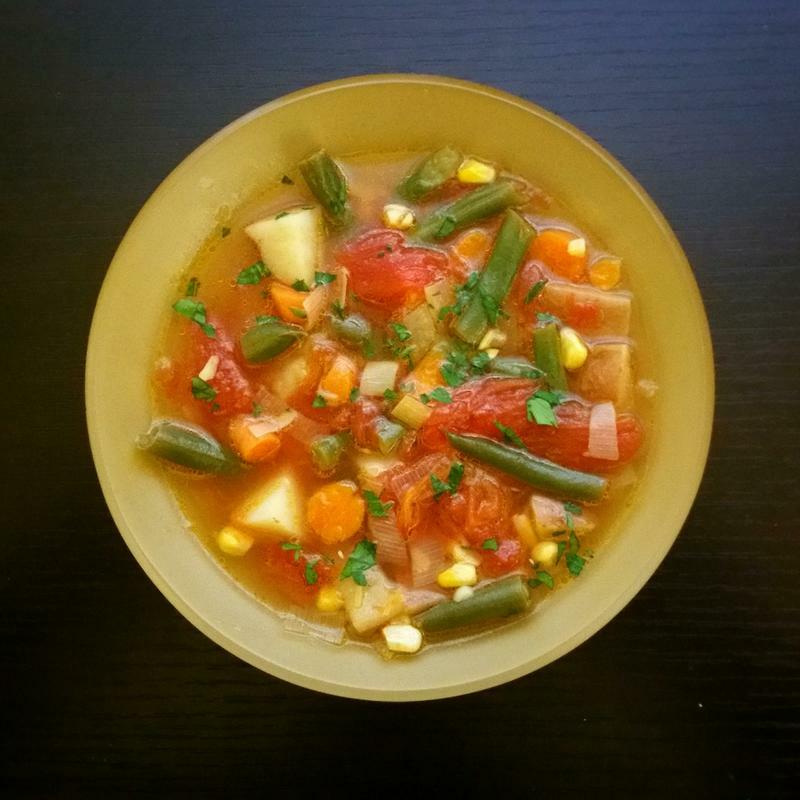 Simple, savory, and perfect for the crisp autumn days ahead. It’s got a nice mix of textures, an intoxicating aroma, and all the vitamins you could possibly want. Maybe this lip-smacking medicine will subdue my sniffles a little bit. Even if it doesn’t, it certainly satisfied my craving for a hearty soup. Hope it warms your heart too!